True Blood: All Together Now is a graphic novel based on the TV show. Trapped inside Merlotte's by a demonic creature, the characters much each share their most shameful secret or face certain death. There's Sookie, Jason, Sam, Eric and Bill taking turns telling a little bit of back story. Some of it are things we already know but there are a few new pieces of information. 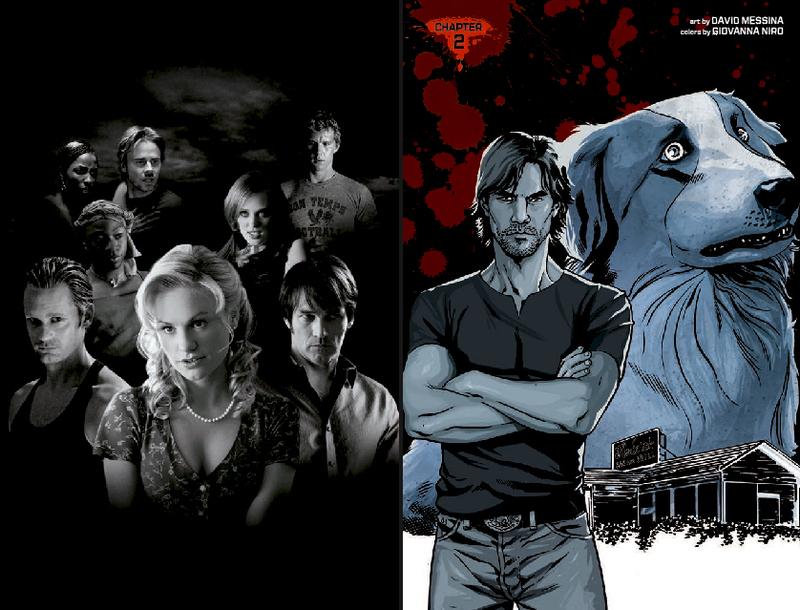 As it's based on the TV show, the characters are all drawn to match the actors. I did think Sookie looked a bit mean and there are times their faces aren't consistent. This might be because there is a whole team of "creators" behind this book; David Messina, Mariah Huehner, David Tischman, Elisabeth R. Finch and Kate Barnow as well as Alan Ball of course. The best drawings for me was of Sam in his dog form (and I liked his story the most). There are also photos from the show in between each chapter which were a bit distracting from the story. Good for fans of the show who want something extra but the artwork didn't stand out and the stories weren't anything special. I wouldn't pick this up as a standalone as it relies on you having prior knowledge of the characters. A nice, quick distraction for someone who doesn't read a lot of graphic novels. 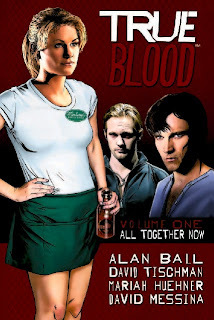 True Blood: All Together Now is published by IDW and will be available in paperback from tomorrow as well as ebook editions. Thanks go to the publisher for providing a copy for review via NetGalley. Hmm... interesting premise if you're really into the show. Unfortuantely, I got kind of bored of it around Season 4 so I haven't kept up with it. I'm just happy to see something that has more to it than Sookie getting a tan and doing her chores for a change! This is the first one but I think a volume 2 might be out now too. 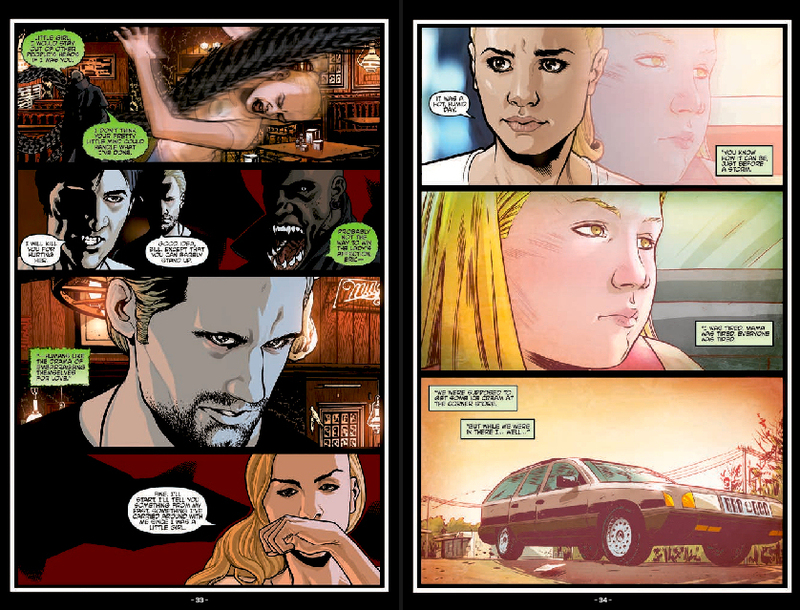 I don't usually like these graphic novels that are based off the shows. Plus True Blood isn't so good anymore... I am actually watching the latest episode right now!